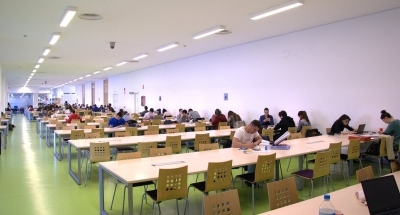 The 24 hour study room is located on the ground floor of the General Library building. It offers 250 reading places and has an entrance from the outside. It is open 24 hours a day, every day of the year, except on December 24 and 31, when it will be closed from 9:00 p.m. until 5:00 p.m. the next day.